Cuiabá ([kujaˈba]) is the capital city of the Brazilian state of Mato Grosso. It is located in the exact centre of South America and forms the metropolitan area of the state, along with the neighbouring town of Várzea Grande. The city was founded in 1719, during the gold rush, it has been the state capital since 1818. The city is a trading centre for an extensive cattle-raising and agricultural area. The capital is between some of the fastest-growing cities in Brazil, followed by the growth of agribusiness in Mato Grosso, despite the recession that is affecting Brazilian industries. 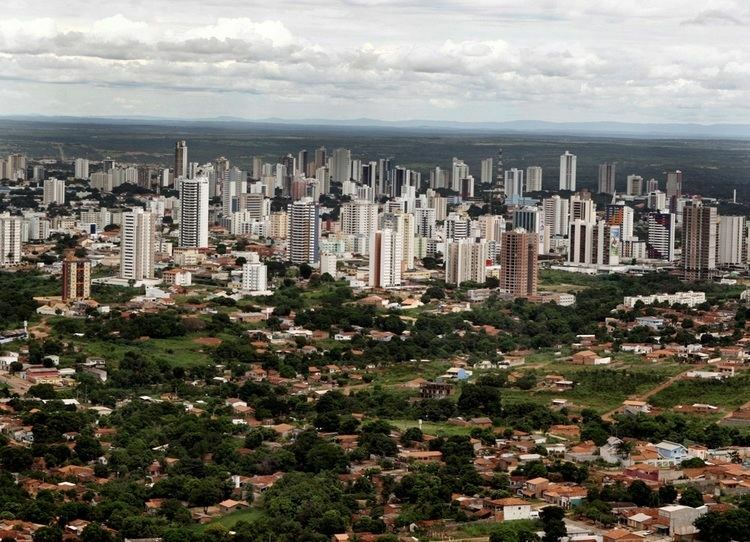 Cuiaba is the heart of an urban area that also includes the state's second largest city, Várzea Grande. Thermal electric and hydroelectric plants located in the area have been expanded since the completion of a natural gas pipeline from Bolivia in 2000. The city is the seat of the Federal University of Mato Grosso and the largest soccer stadium of the state, Arena Pantanal. The city is a rich mix of European, African and Native American influences and numerous museums reflect this. Cuiabá is also notable for its cuisine, dance, music and craftwork. Known as the "Southern gate to the Amazon", Cuiabá experiences a hot humid tropical climate. Cuiabá was one of the host cities of the 2014 FIFA World Cup. Cuiabá was founded on January 1, 1727 by Rodrigo César de Menezes, then the "captain" of the captaincy of São Paulo in the aftermath of the discovery of gold mines. The Rosário Church built at the time in the centre of the little town marked the location of a rich seam of gold. However, in 1746 much of the town was destroyed by an earthquake. It was given township status in 1818 and became the state capital in 1835. From the late eighteenth century, until the time of the Paraguayan War (1864-1870), the town remained small and was in decline. The war, however, brought some infrastructure and a brief period of economic boom, with Cuiabá supplying sugar, foodstuffs and timber to the Brazilian troops. 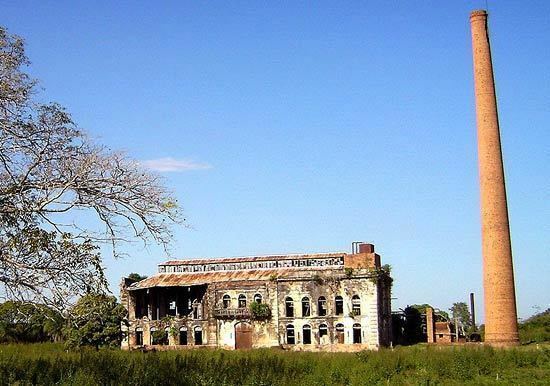 After the war, the town was once again forgotten by the rest of the country, to such an extent that the Imperial and later the Republican governments of Brazil used to use it as a site of exile for troublesome politicians. Isolation allowed it to preserve many of the oldest Brazilian ways of life until well into the twentieth century. Starting in 1930, the isolation was diminished, with the construction of roads and later with the advent of aviation. The town became a city and would grow quite rapidly from 1960 onwards, after the establishment of the newly built Brazilian capital in Brasília. In the 1970s and 1980s, the pace of growth would continue to increase as agriculture became commercialized, using the roads to transport soybeans and rice produced in the state in order to be sold abroad. The growth was such that from 1960 to 1980 the small town of 50,000 inhabitants grew into a giant, with more than a quarter of a million inhabitants (including those from the surrounding area and towns). Since 1990, the rate of population growth has decreased, as other towns in the state have begun to attract more immigration than the capital. Tourism has emerged as a source of income and environmental issues have become a concern for the first time. Cuiabá borders the towns of Chapada dos Guimarães, Campo Verde, Santo Antônio do Leverger, Várzea Grande, Jangada and Acorizal. The city is an intersection of many major roads and waterways. However, on account of sand banks along the river, these waterways no longer support medium or large ships. The third most important airport of the Brazilian Mid-West region is located in Cuiabá, and the city is the centre of an important and productive agricultural region. It is famous throughout Brazil as one of the country's hottest cities, where temperatures are often above 40 °C (104 °F). In central Cuiabá, an obelisk marks the exact center of the South American continent, as calculated in 1909. 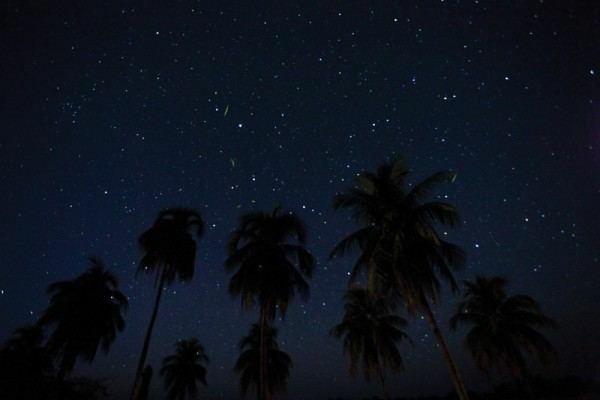 However, more accurate measurements in the 1990s located the exact center about 45 kilometres (28 mi) northeast of Cuiabá, near the town of Chapada dos Guimarães. The town sits in a transition zone between three of the most characteristic Brazilian ecosystems: Amazonia, Cerrado and Pantanal. It is also close to the mountain range known as Chapada dos Guimarães (which blocks polar masses and causes the extremely hot weather). Cuiabá is also known as the Southern gate to the Amazon. The municipality contains 11% of the 3,534 hectares (8,730 acres) Rio da Casca Ecological Station, a strictly protected conservation unit created in 1994. Under the Köppen climate classification, Cuiabá has a tropical wet and dry climate. Cuiabá is famous for its searing heat, although temperatures in winter can sometimes reach 10 °C or 50 °F. This is atypical, caused by cold fronts coming from the south, and may only last one or two consecutive days then returning to the usual heat. The climate is tropical and humid. Rainfall is concentrated from September to May, the mass of dry air over the center of Brazil inhibiting the rain formation from June to August. The cold fronts dissipates the heat associated with the smoke produced by fires lit on during the dry season. The relative humidity drops to very low levels, sometimes below 15%, increasing cases of respiratory diseases. The average annual rainfall is 1,351.1 millimetres or 53.19 inches, with maximum intensity from December to March. The mean maximum temperature reaches 34 °C or 93.2 °F, but the absolute maximum can reach 40 °C or 104 °F in hotter months but is muffled on rainy days, when the maximum temperature is typically only 28 °C or 82.4 °F. The average low in July, the coldest month is 16.6 °C (61.9 °F) with wind chill of 10 °C (50 °F). The Massairo Okamura State Park provides a green space with typical cerrado vegetation in the centre of a highly urbanized area. It helps preserve the headwaters of the Barbado and Moinho streams. The 66 hectares (160 acres) Zé Bolo Flô State Park is in the Grande Coxipó district. The city also includes the 77 hectares (190 acres) Mãe Bonifácia State Park, created in 2000, also with typical cerrado trees. Cerrado includes various types of vegetation. It is characterized by extensive savanna formations crossed by gallery forests and stream valleys. Humid fields and "buriti" palm paths are found where the water table is near the surface. Alpine pastures occur at higher altitudes and mesophytic forests on more fertile soils. "Cerrado" trees have characteristic twisted trunks covered by a thick bark, and leaves which are usually broad and rigid. Many herbaceous plants have extensive roots to store water and nutrients. The plant's thick bark and roots serve as adaptations for the periodic fires which sweep the cerrado landscape. These adaptations protect the plants from destruction and make them capable of sprouting again after the fire. The economy of Cuiabá is concentrated on commerce, services and industry. Commerce and services based in Cuiabá are important to the whole state, since the population is divided in several small agriculture-centered cities. People from these smaller cities often travel to the capital to access these services and buy goods not sold anywhere else. The industrial sector is represented, basically, by agribusiness, particularly food processing. Many industries, mainly those that should be maintained far from the populous areas, have been set up in the Industrial District of Cuiabá (DIICC), which was founded in 1978. Even though it is located in one of the most agriculturally focused states of Brazil, Cuiabá itself only grows small vegetable farms, mainly family- or cooperative-based. The city, with a GDP of 4.75 billion reals in 2003, according to the IBGE, is responsible for 21.99% of the total of the state GDP. Greater Cuiabá possesses, currently, four shopping centers registered in the HUGS (Brazilian Association of Shopping Centers), and another 8 commercial galleries. The GDP for the city was R$7,189,521,000 (2006). The per capita income for the city was R$13,244 (2006). English is taught as part of the official high school curriculum. and many others (mostly private). There is a very rich local culture based on Portuguese, African and Amerindian influences. Cuiabá is home to an interesting Indian (Native American) influenced cuisine, native dances, craftwork and music. Local dance and music were traditionally connected to the worship of Catholic saints, like Saint Benedict (the city's patron), but today is secular. In August 2007, an important Italian wind orchestra performed the Orchestra Fiati Giovanile Italiana e Coro "I Music Piemonteis" conducted by Ugo Bairo and his choir, conducted by Carmelo Luca Sambataro. SESC/Arsenal and Museum of the Swampland. The four-day period before Lent leading up to Ash Wednesday is carnival time in Brazil. As with other capitals in Brazil, there are parties everywhere (os Bailes de Carnaval). Also like many other cities in Brazil, Cuiabá holds its own off-season Carnaval ("Carnaval fora de época", or "micareta"), called Micarecuia. Marechal Rondon International Airport connects Cuiabá with many Brazilian cities and also operates some international flights. The runway at Marechal Rondon International Airport was opened to traffic in 1956. In February 1975, Infraero took over the airport's administration and began various upgrades to meet the needs of the airport complex. In 1996, Marechal Rondon Airport, located 10 km (6.2 mi) from the city center, started receiving international flights. Currently it serves more than 900 thousand passengers a year. The airport has one building. There are two sections, upstairs and downstairs. Downstairs is all check-in terminals, and upstairs there are shops, eateries and an observation lounge. Cuiabá is connected to the Pacific Ocean with the Interoceanic Highway, and to the Atlantic Ocean by the BR-364 Highway. A 22-kilometer (14 mi) light rail line, that will connect Cuiabá with Várzea Grande in the Cuiabá metropolitan area and the international airport, is currently under construction. However, it will not be ready for the 2014 FIFA World Cup and is now scheduled to be operational in December 2014. Cuiabá was one of 12 cities chosen to host games of the 2014 FIFA World Cup, which took place in Brazil. 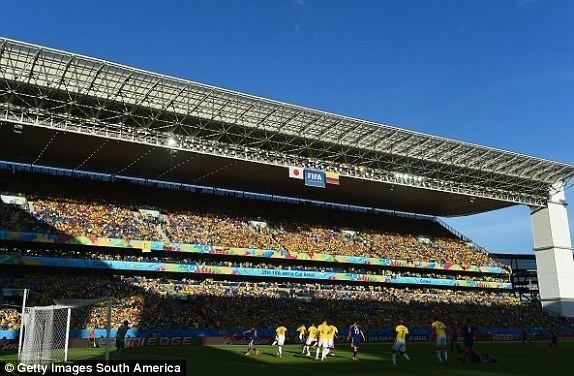 The games were to be played at the Arena Pantanal, a stadium completed in April 2014, with a capacity of 42,968. The stadium hosted four group matches in the tournament. It replaced the old Estádio José Fragelli (Verdão), which used to be the principal soccer stadium of the city. Verdão got demolished in 2010, and works on the new stadium commenced later that year. The architects GCP Arquitetos have focused strongly on sustainability and one of the stadium's noticeable features are the plants and trees that fill the four corner areas. Following completion, the stadium has become the permanent home of local sides Mixto EC and Cuiabá EC. 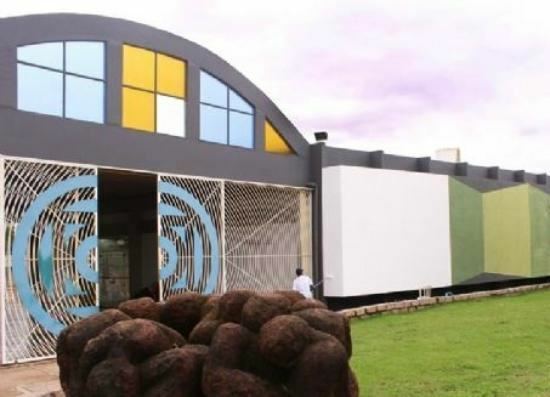 Next to the football stadium is the Tocantins Gymnasium - Ginásio Aecim Tocantins. The stadium has a car park of 15,000 spaces. Local side Mixto hold the record for most state titles, having won the Campeonato Mato-Grossense on 24 occasions. Mixto are also the only club from Mato Grosso to have played at the top level of Brazilian football, the Brasileirão, in 1976 and 1986. Even more contested than Manaus as a FIFA World Cup host city, Cuiabá represents both the positive and negative of Brazil's hosting of the event. Negative because it is a relatively small, remote city with no great footballing tradition, best as its inclusion shows that the World Cup, geographically speaking at least, will be an event for all of Brazil and not just in the east coast capitals.